A left hand drive HK500 for sale and registered in the UK, or a right hand drive HK500 at auction and registered in France? 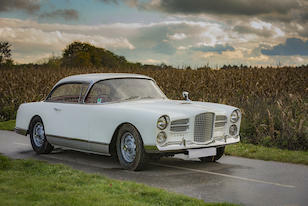 That’s the rather awkward choice that awaits any Facel buyer as we approach New Year. The prices are quite robust as well. The left hand drive car is for sale at £144,950 with DD Classics at Richmond on the outskirts of London. This blue metallic car was delivered new to the United States in August 1960 and has US instrumentation but is registered in the UK. 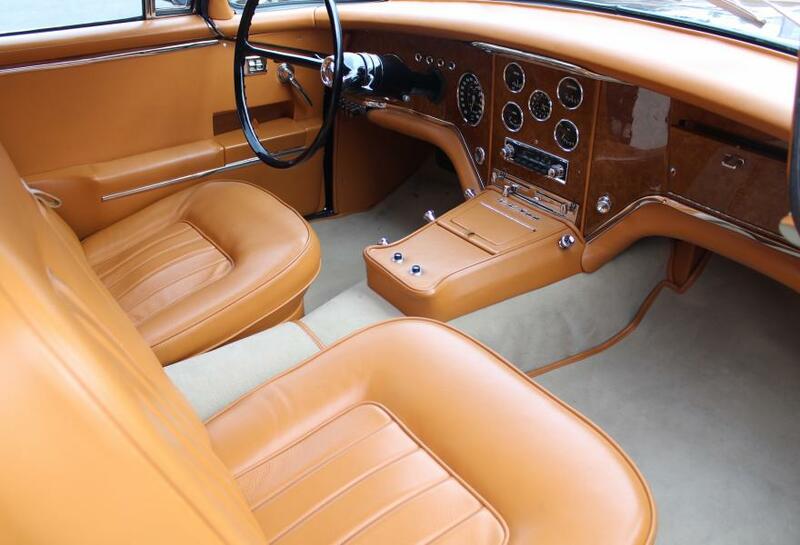 It has a full tan interior and certainly looks in excellent condition. Perhaps your alternative is a right hand drive 1958 HK500 for sale at Bonhams auction at Retromobile. 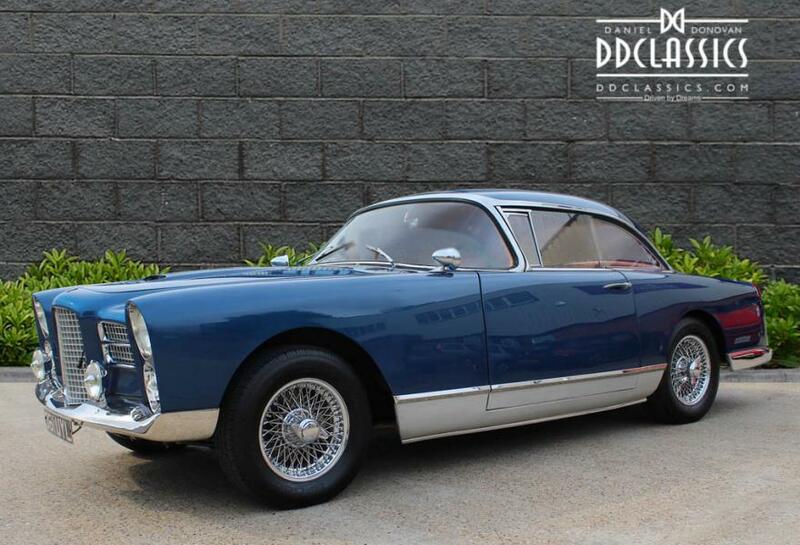 This Facel did not come through Intercontinental Cars, the HWM offshoot which marketed Facels in England, but instead was supplied direct to its purchaser – one or two cars were delivered this way. Its instrumentation is in kilometres per hour and it has been owned by a French engineer until being put up for sale, so should be in good condition. This is HK L1, for which few details are current available from the auctioneers but looks in restored condition, and it is being auctioned on February 9 in Paris. Guide price is £130-£170,000. Meanwhile the Dutch and the Belgians have been having a bit of a clear-out with six Facels for sale at the Interclassic in Brussels last weekend, including four quite rare pre-HK500 cars. The earliest was the 1955 FV2 which was exhibited on the EZ Electric Power Steering stand at Goodwood in September, this time without a price tag and there was an ex-Trintignant 1958 FV3B that has also been in the UK, also for sale. There was a similar, slightly earlier car for sale at €142,000. There was also a restored 1957 FV3, chassis number 57-174 which had undergone a recent restoration at the hands of Jean-Claude Tisserand, for which €225,000 was being asked, and an 1960 HK500 for sale at €190,000. Finally, there was a Facel 11 which was delivered new to San Francisco band leader Ernie Heckscher in 1964 offered for €298,000. This has also undergone a recent restoration by JB Classics in Holland and is for sale in Holland from Veni Vidi Vici Classic Cars, complete with much original paperwork. FVCC Historian Richard Stevens writes: HK L1 is one of the six RHD HKs which were not UK cars (four in France, one in Cyprus, one in Ireland). Original owner apparently a Frenchman named Carle who maybe preferred the traditional RHD. I see it was in Hans Ruhé’s census, still in France and owned by one Mouray. The following car HK L2, also right hand drive, was a factory car for ‘essais grande vitesse’ (high speed testing). The factory clearly favoured RHD for this sort of thing, as HK F7 was also RHD ‘essais’ (test) though maybe only at normal speed which may be why it survives, while HK G2 was owned by J.Cavallier, presumably the chap from Pont-à-Mousson hence v. close to Facel.